TPGA is observing Autism Acceptance Month by featuring accounts from autistic people about the differences accommodations (or lack thereof) make in their lives. 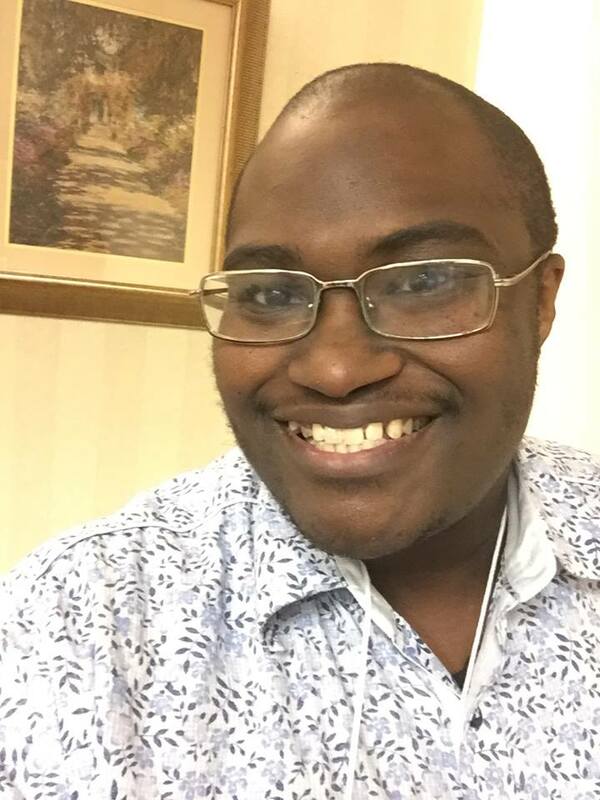 Today, Finn Gardiner talks about being the "truest, best self" he can be, tackling the "politics of shame head-on," and recognizing "that I could live with my autistic, black, queer, trans self without guilt just for being alive." My path to autism acceptance and rejecting the politics of shame came along with my recognition of the other intersections I experience: recognising my gender identity, fighting internalised racism, and defining and following a path that was based on my own self-determined goals -- rather than what parents, professionals, and other authority figures around me deemed appropriate. My childhood and adolescence were steeped in the politics of shame. Family members and teachers reinforced the idea that I was intrinsically wrong just for existing. They may not have said it explicitly, but their actions were laden with this implication. I was told to have "quiet hands," to stop expressing myself in my natural, autistic way. I never knew why having loud hands was "wrong," just that it was. Meltdowns were seen as "behaviours" that needed to be extinguished, rather than expressions of frustration or overload whose cause should be investigated. In one particularly nasty episode, my mother got out her brand-new video camera to record twelve-year-old me having a meltdown, in order to embarrass me into not having more. Thank god this was eight years before YouTube really took off. I remember being racked with anxiety about parent-teacher conferences and special-education meetings between my family, mainstream teachers, and special-ed staff, where I feared that all the adults would be talking about how disruptive I was, or how I needed to stop talking about my special interests, or how they needed to find a way to control my meltdowns without finding out their cause. And when I did do things right in the eyes of the adults around me, it felt as though it could never make up for those times when I didn’t. Being treated well by many of the adults around me came with conditions: I had to be compliant. If I did things in an autistic way, those things would have to be to those adults’ benefit, or to make them look like good parents and teachers so they could impress their friends and colleagues. My existence wasn't valuable for its own sake. These messages made it difficult for me to fully advocate for myself and create a life I considered to be my own, rather than something predetermined by family, teachers, or school administrators. It went beyond autism too; shame and guilt were suffused through other identities and forms of marginalisation too. My way of handling being autistic was to shove things as far in the closet as I was humanly capable of doing. Quiet hands. I repudiated those aspects of politicised blackness that white talking heads bloviated about on right-wing cable news. When I realised I might be queer -- both in gender and in sexuality -- at the age of 11, I tried to shove it under the rug, thinking that it would "go away when I got older." When I would have rather discovered my own spiritual path and was on the brink of doing so, I went along with my parents’ adoption of right-wing evangelical Christianity. Instead of being authentic, I had to be compliant. Quiet hands, in another form. That compliance affected my first attempts at transitioning to adult life. After battling with my parents, who were trying to have me stay at home, take college classes, and work at retail and food-service jobs that would have been horrible for me, I managed to compromise with them. They allowed me to go to a small liberal-arts college in the South, thinking that it would be ‘safer’ than going to a larger institution or a more non-traditional one. When I got there, I struggled with social isolation, difficulties relating to the other people around me, racism, homophobia, and my own internal fights with gender dysphoria, and self-hatred. And then it happened: I crashed. I burned out, dropped out of college and spent the next several years fighting severe clinical depression. I came to a realisation after this quarter-life crisis: I couldn’t live happily or honestly if I continued this façade. I had to tackle the politics of shame head-on, and recognise that I could live with my autistic, black, queer, trans self without guilt just for being alive. And at that point, I was able to muster my strength, seek help from my friends and the wider community, and truly start on the path of transitioning to a life that reflected my goals and priorities, rather than those of my parents or childhood teachers. Eventually I was able to start college over again, transfer to a top-ranked university to earn my bachelor’s degree, and start my career as a disability advocate. It was a difficult road to travel, involving unstable housing, situational poverty and discrimination based on my gender identity and disability, but I had to keep moving forward and continue to find a place for myself in the world and ultimately give back to my community. Today I live and breathe my authentic self. I reject the politics of shame and embrace self-determination. This is autism acceptance: being the truest, best self I can be.